After putting on his first VR headset when the Samsung Gear hit the market in 2015, Jeff Guard noticed how lacking its locomotion system was. Most VR technology on the market now uses “teleportation” movement systems, where a user points to a spot with a handheld controller and moves there instantly. 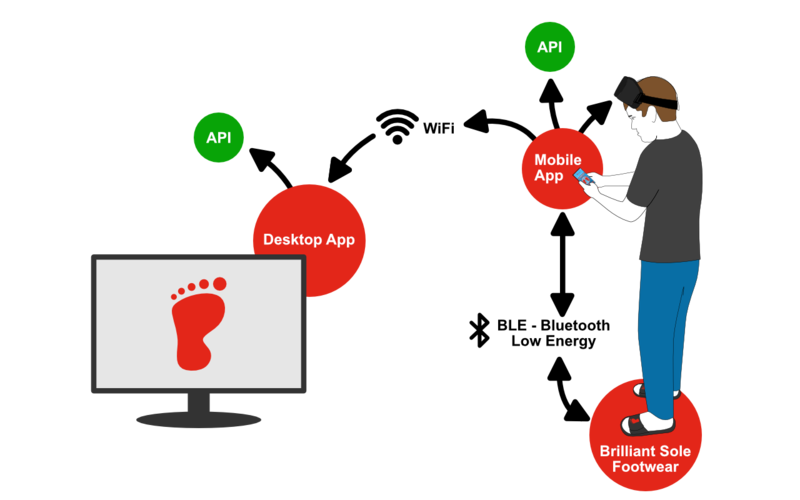 Brilliant Sole solves that problem by creating footwear with embedded sensors attached to microprocessors and accelerometers (the technology in smartphones that can track steps). Users can walk in place or sit and apply pressure to the soles of the footwear, and the character in the virtual world will move. Counterintuitive movement is a widely acknowledged problem in the VR market (predicted to be worth $40 billion by 2020), but that’s not the only application for Brilliant Sole’s technology. It’s also usable as smart footwear, capable of tracking steps or time spent sitting and standing. And, of course, there’s the $106 billion video game market with millions of existing consumers always waiting for the next big platform. When Playstation or Xbox begins manufacturing VR video games, Brilliant Sole could be the tech that moves Call of Duty characters through the trenches. As a self-taught techie, Guard began Brilliant Sole by playing around with microprocessors with a friend. After discovering that sensors underneath an insole could accurately capture different pressure values, he decided to pursue the technology as his third startup venture. Formerly a CIE tenant, Guard soon discovered that the CIE had open office space, and he returned because he knew it held a wealth of resources that he could use. “Just having an office where I can get outside my house helps,” he says. He also benefited from the entrepreneurial storytelling program in February, which helped him refine his pitch for investors, and working with Stakeholder Member Hutchison Law, which will host a startup financing seminar next week. “There are a bunch of programs coming up that will be valuable for me,” he says. 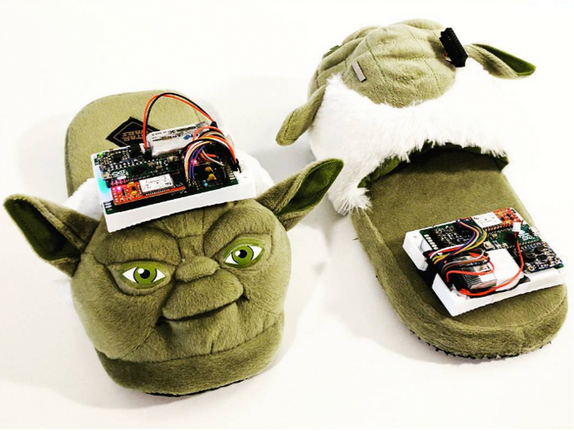 Brilliant Sole’s prototypes have included everything from flip flops to Yoda slippers—everything so far is completely bootstrapped. In the year since that first experiment, Guard has brought on software developers Andrew Keener, Alec David, and William Fleming (a current UNCW student), as well as product manager Ryan David. With a whirlwind R&D process, Guard expects to put the finishing touches on a scalable, investor-worthy demo by mid-April 2017—next week. Securing investors is definitely the next step, and the NC Tech Madness competition has provided a welcome boost. In part because of the competition, Guard says, Brilliant Sole has been invited to be one of six startups pitching at the North Carolina Technology Association’s 2017 State of Technology conference on May 5th. While most people are lucky to have one actionable idea for a startup, Guard is on his third. And while most people would have given up when the first two startups failed to reach proof-of-concept stage, Guard simply took the lessons he learned and kept working. Because of that creativity and persistence, he’s onto something big. With or without sore heads, Brilliant Sole’s team treks on. Also remember to follow Brilliant Sole’s journey on Facebook, @BrilliantSole on Twitter, and @brilliantsole on Instagram.